From Red Bee Honey of Weston, Carla Marina Marchese, Italian-trained honey expert, will lead an educational talk and guided tasting of 6 American honeys paired with local cheese and seasonal produce. Participants will learn about honeybees and their essential pollination services that bring us fresh fruits, vegetables, nuts, seeds, spices - even coffee, chocolate and blue jeans! Learn how honeybees make this liquid gold we call honey, how terroir and nectar source determines a honey's color, aroma, and flavor while engaging your senses to pick out aromas and flavors in each varietal honey. This is truly a unique honey lover's experience! 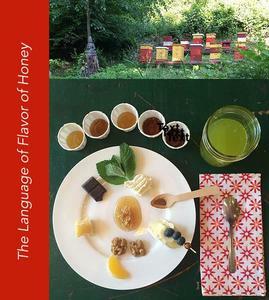 Carla Marina is a member of the Italian National Register of Experts in the Sensory Analysis of Honey, where she received her formal training and the author of The Honey Connoisseur. Advance reservations required by July 19: $50 Members, $65 non-members.